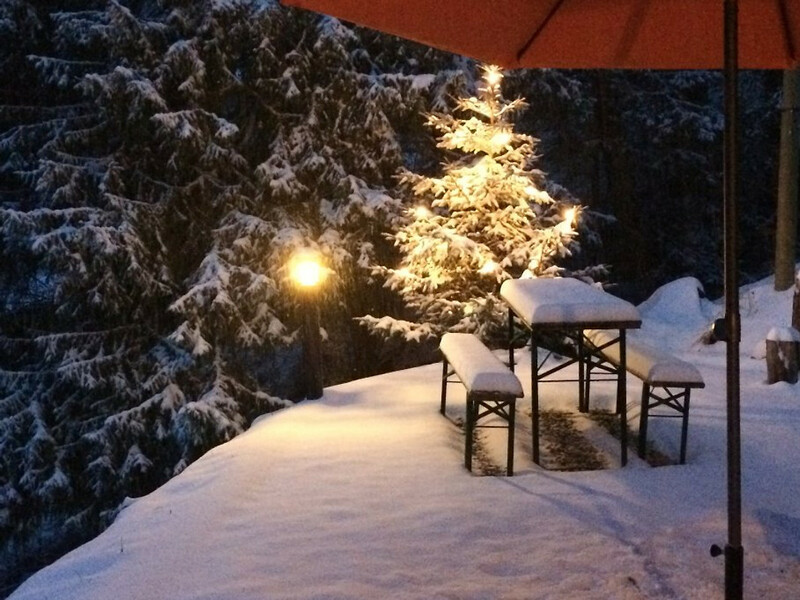 Chalet La Piste is a luxurious, authentic holiday house on 1550m altitude with breathtaking views in a quiet environment. 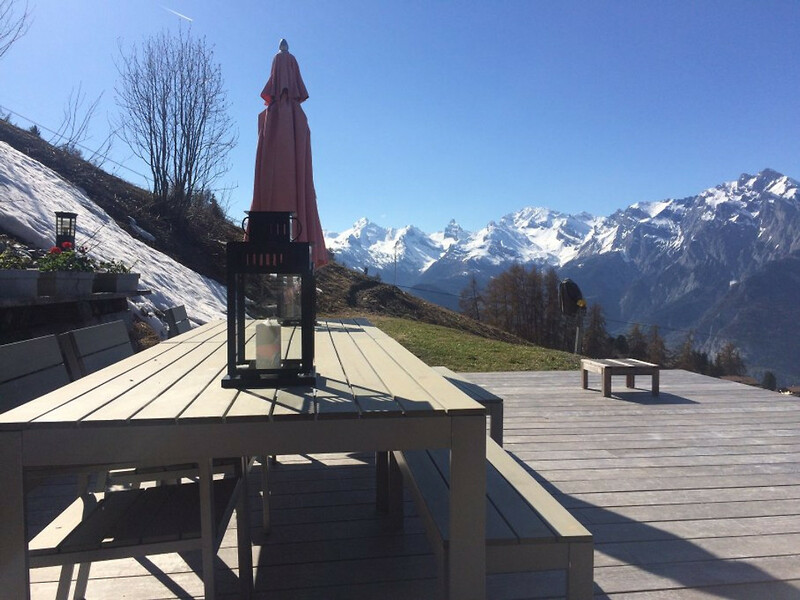 The villa is located in an exclusive Hameau, 150m above the center of the resort of Nendaz, Canton Valais, on a rare position with DIRECT ACCESS TO THE SKI SLOPE OF 4 Vallées/verbier (410 km runs), in the Swiss Alps. 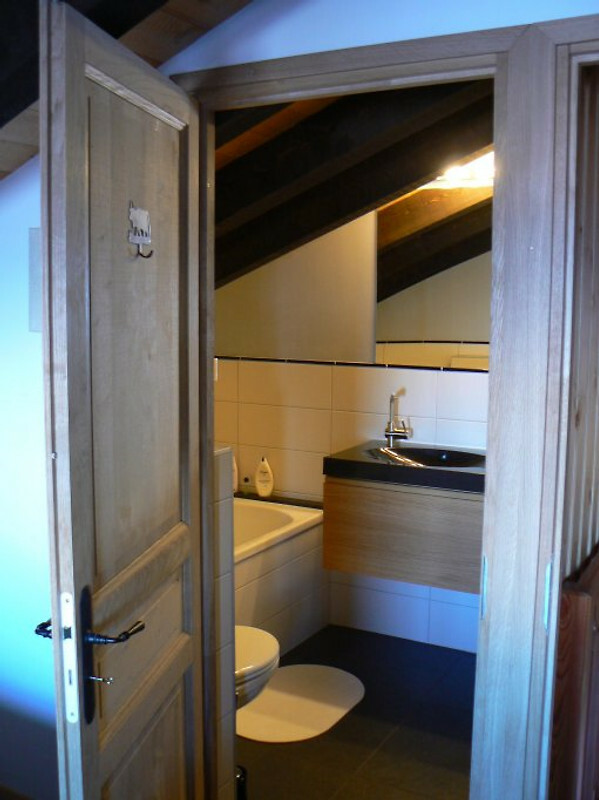 Comfortable and tastefully furnished holiday home at 1550m, DIRECTLY TO THE SLOPES by one of the largest ski areas in Europe, Les 4 Vallées/Verbier. Spacious living room with cozy fireplace and picture windows on three sides. Furnished terrace next to the skislope, fully furnished. 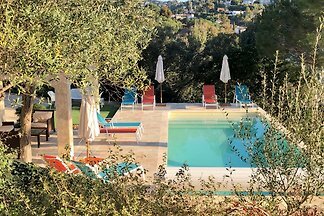 Its elevated position offers a 180 ° panoramic view of the majestic Alps and the mountain villages of the Rhone Valley. 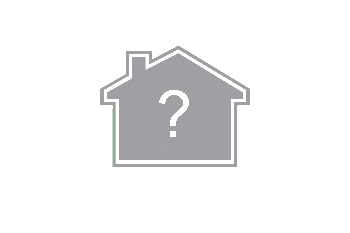 The house can accommodate two families with a total of 8 persons. 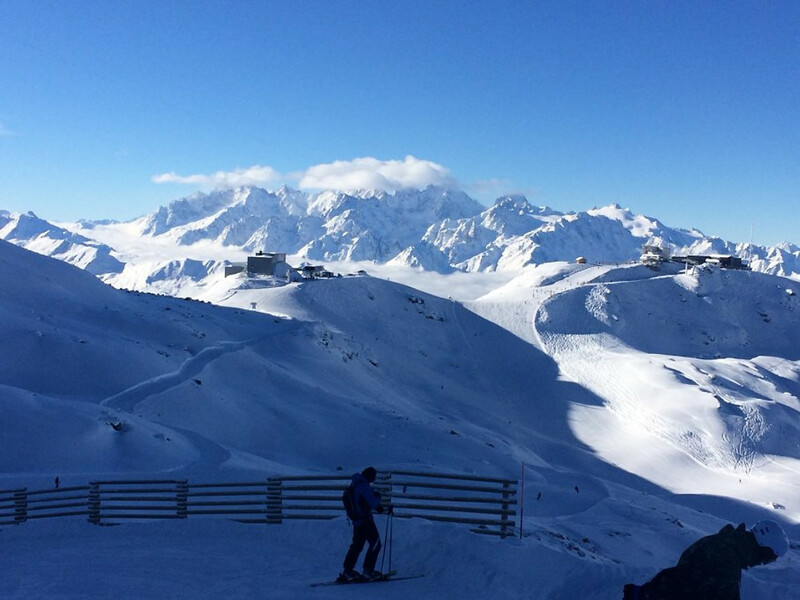 Because of its location next to the slopes you are assured of a relaxing ski holiday. 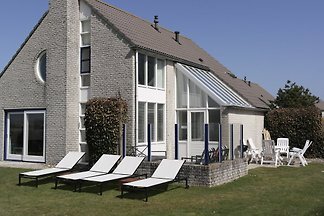 A total of 120 m2 with 4 charming bedrooms, 2 bathrooms (bath, separate shower, double sinks) and 3 toilets. Quality beds and mattresses with 90% goose down comforters. ADSL wireless internet, flat screen HDTV, premium sound system, DVD player, iPod docking station, and a selection of DVDs, CDs and board games. 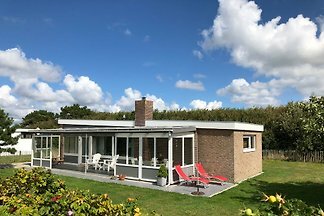 Fully equipped kitchen with granite worktop, 4 hotplates, oven, dishwasher, microwave, refrigerator, coffee maker, toaster, kettle, fondue heater, etc. 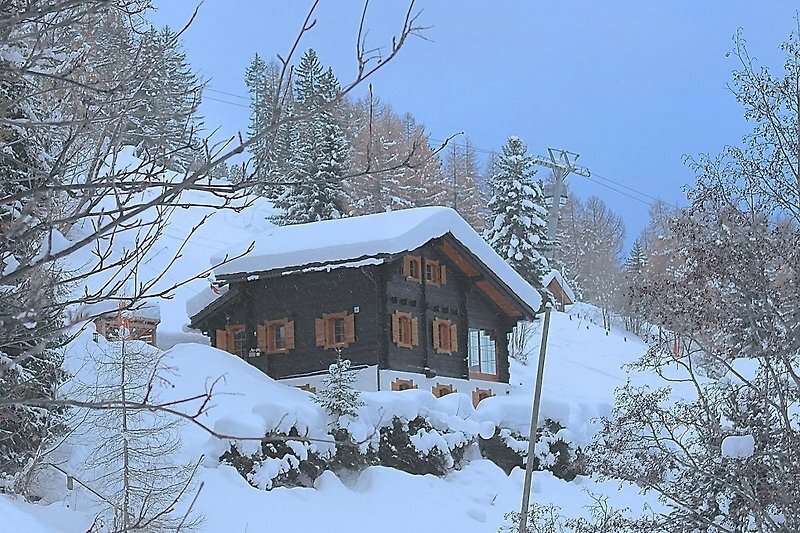 La Piste Chalet is located in an exclusive and desirable Hameau, 150 m above the center of Nendaz. In winter, this hamlet largely car-free zone, which makes the area a nature reserve and snow-white welcoming to enchanting walks. 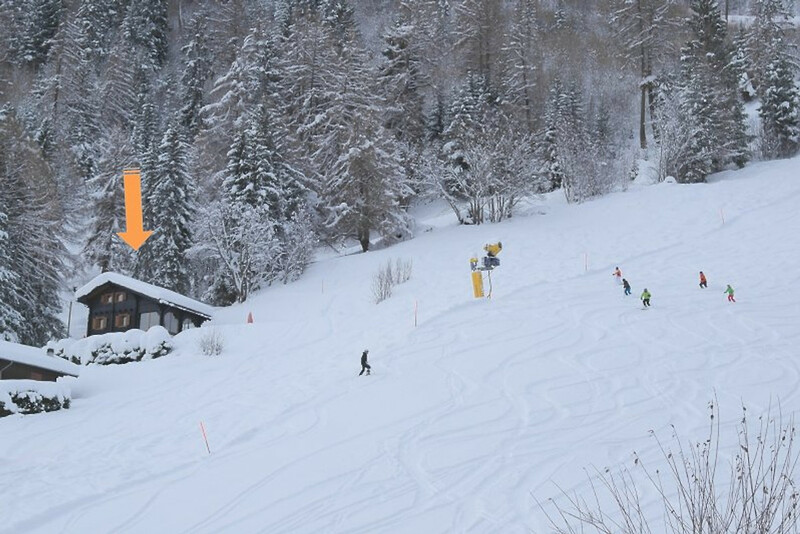 Residents and guests of ski chalets in the village to go on foot or by snowmobile taxi *. 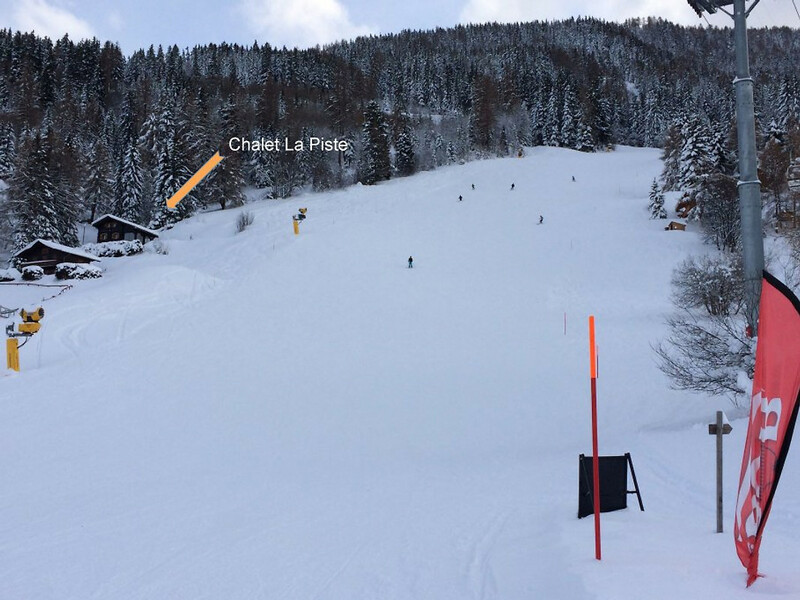 To achieve Chalet La piste, you are as guests on your private car park (250m) picked up from Hägglund snow vehicle, the first of its kind in the 4 Vallées for transport to 8 people *. A short drive to the slopes you bring your luggage on the snow-covered villa where everything will be there for a sporting and relaxing holiday in the Swiss Alps, with one of the largest ski areas in Europe at your feet. 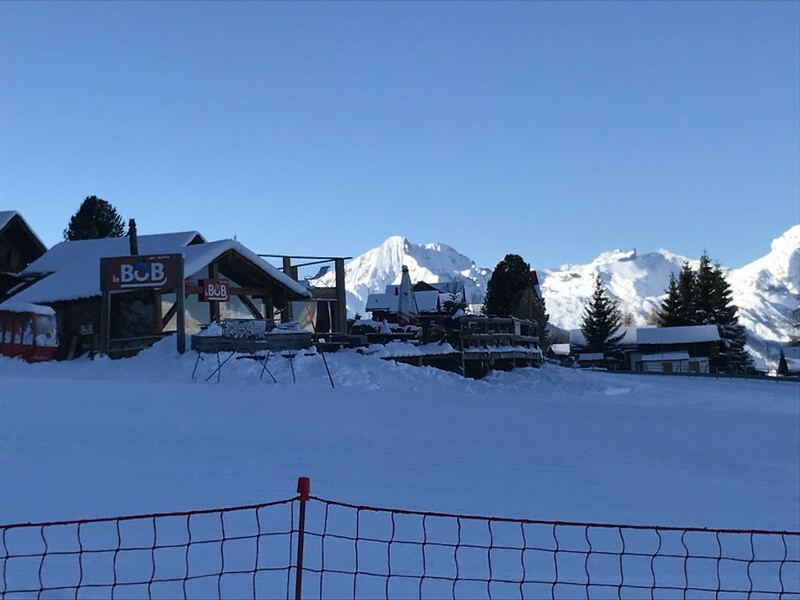 During your stay is the heart of Haute-Nendaz area with shops, supermarkets, restaurants, bars, and clubs within easy walking distance. A short, athletic walk (about 100m) leads from the villa on the plowed road, on which the parking is located and into the center out. You can go from there in 15-20 minutes walk to the village, or decide to take the car. Throughout the winter the path to the villa is kept viable. During the day, you can also ski in the village and take on the way back to the gondola. 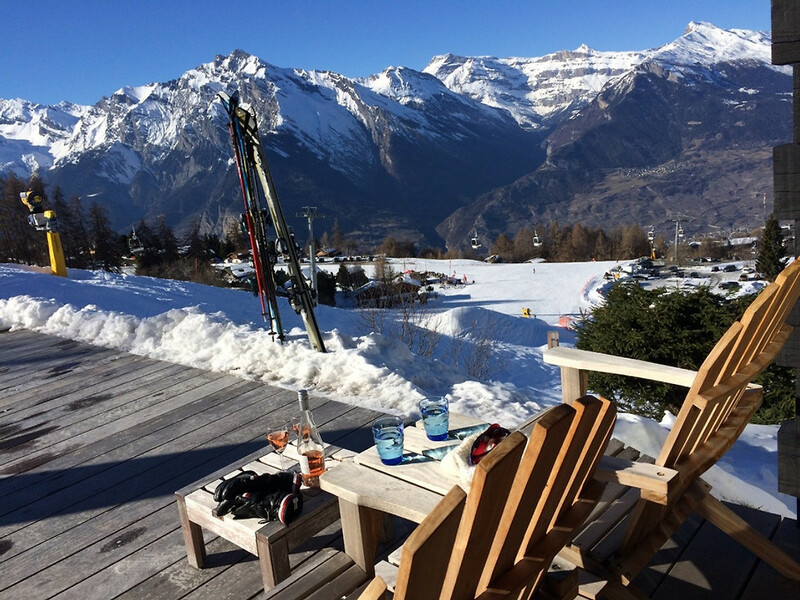 In the Hameau, 7 minutes walk, is a cozy ski bar and a fantastic restaurant. 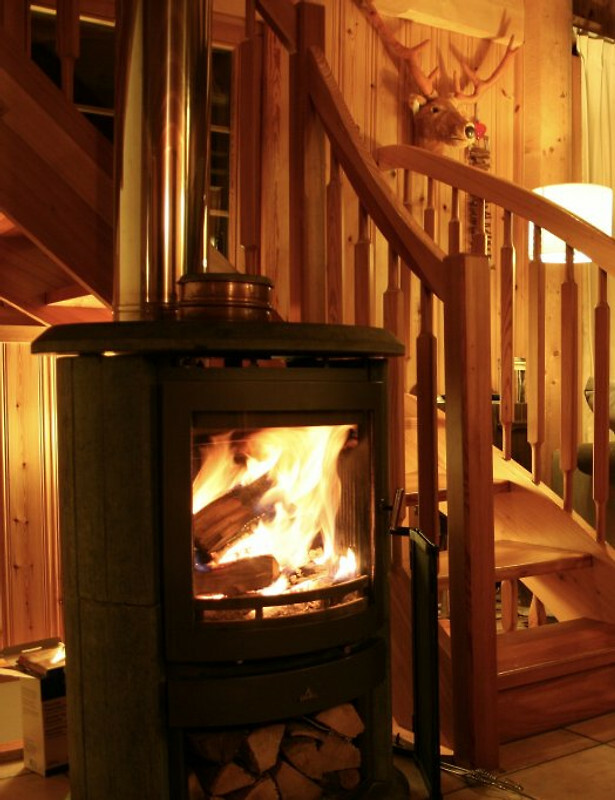 But stay at home by the fireplace and enjoy the breathtaking night views, is also very tempting. * Chalet Service, Hägglund transport CHF 80 each way (arrival and departure), snowmobile taxi CHF 25 each way. Very rarely can you not all the way to be transported to holiday house. 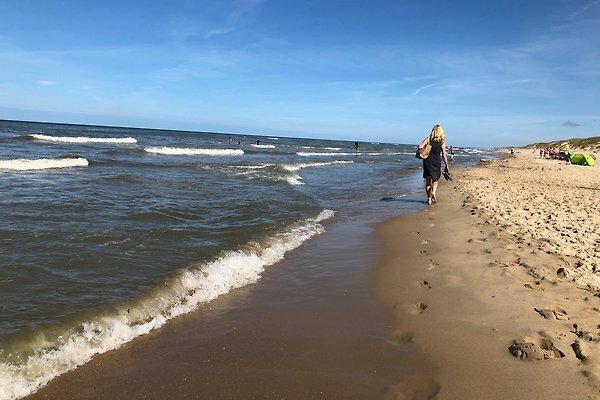 You should go in this case, the last 15-20 meters on foot. 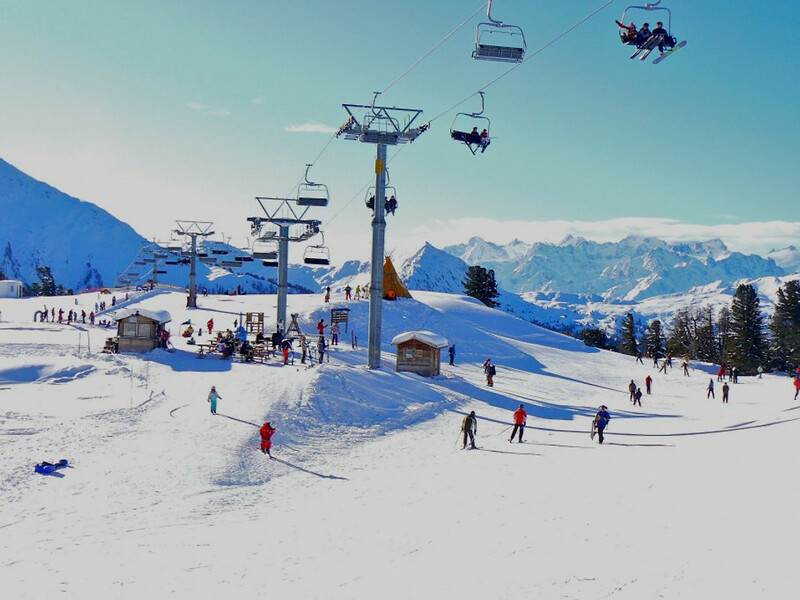 4-Valleys ski area: the largest ski area in Switzerland, 410 km of slopes, snowboard park, 12km cross country skiing, winter hiking 100km, 40km snowshoe running. 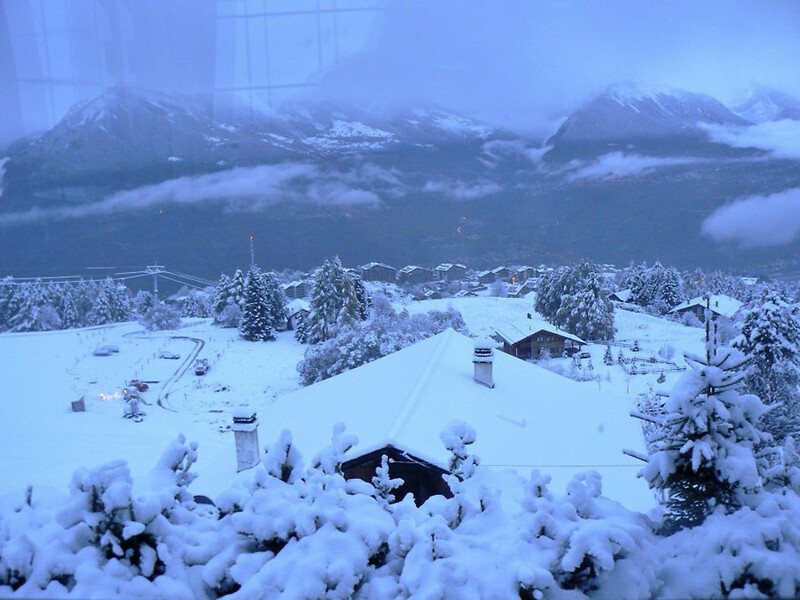 The town Haute-Nendaz is characterized above all by his large family-friendly and places great emphasis on this. Many ice rink, shops, supermarkets, restaurants, bars and clubs.